What impacts the currency value changes? 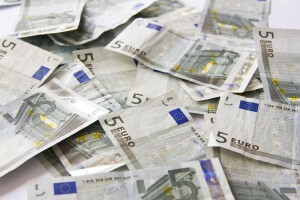 Blog Archive » Finance in answersWhat impacts the currency value changes? The currency value is determined by many factors. It represents the money price of one country to other country’s money, so it’s one of the best indicators of the health of the national economy. If we know that every national economy is dynamic and susceptible to changes, then we can easily conclude that the currency value depends on many variable factors. These factors can have an impact on the currency value and not all of them can be easily predicted. The institutions directly responsible for the currency value are the central banks. The central banks have their so called ’’mechanisms of transmission” through which they can influence some variables and impact the currency value. Those include the mechanisms of interest rates, fractional reserves, and open market operations. The first two mechanisms don’t have a direct impact on currency, but that doesn’t mean they are not important. They determine money supply in the national economy. If the the central bank decides to lower the interest rates and lower the fractional reserve on deposits, the economy will be supplied with more money. It will cause depreciation of the currency, simply because more money lowers the money’s worth. Depreciation of the currency will make the goods cheaper on markets abroad, so it will have a positive influence on export Thus, in the long term, this may contribute to the appreciation of the currency. In the open market the central bank can conduct activities that might directly influence the currency value. Through this mechanism, the central banks are selling or buying papers, and they supply the system with the relevant amount of money. Many countries don’t have reliable currency, so they hold other currencies that are strong and convertible in their stocks. The national central bank that holds huge amounts of foreign currency as a reserve might sell its foreign deposits to prevent further depreciation of national currency, having a direct impact on the currency value. The central banks have two strategies when they want to influence the currency value. The first one is called the fixed regime of currency when the currency value is constantly targeted to one level by the central bank. The other one is the flexible regime when the level of the value of currency is determined by the situation on the national market. In the flexible regime, the central bank has discretionary right to do interventions, when the bank estimates that fluctuations are too turbulent. The intervention might prevent possible destabilization of the financial markets. Another very important aspect of economy that impacts the currency value is government spending. When the public spending is high, it may cause problems for the national budget. The more the budget is unbalanced and the higher the deficit is, the more the economy is in danger. If the government wants to rescue the economy in the long term, it must continue the policy of raising taxes and depreciation of the national currency in the short term. Otherwise disproportions could drastically grow and they might lead to destabilization. The currency value can be influenced by the central banks or by the state, but the best indicator of a healthy economy is a strong market with a high level of production and high level of export. The money is, in fact, a piece of paper, and its value comes from the volume of goods and services on the market that can be obtained by them. The institutions need to spend their money in lucrative projects that will result in increases of production and export. When the production is strong, the money is more valuable, so the best way to a strong currency is the stimulation of the domestic economy. ← How do countries borrow money?